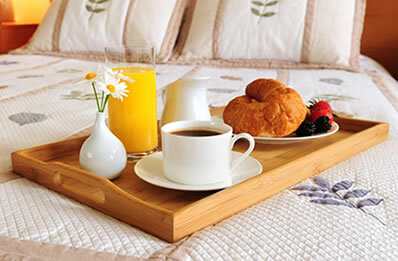 Breakfast	Monday - Saturday	7:30 a.m. - 9:00 a.m. Champagne Brunch	Sunday	11:30 a.m. - 1:30 p.m. Lunch	Monday - Saturday	11:30 a.m. - 1:30 p.m. 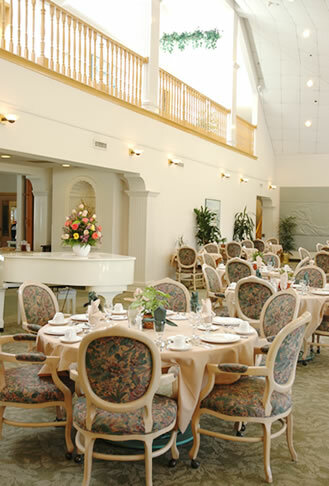 The Bistro Monday – Saturday 7:30 am to 5 p.m.
Dinner	Daily	5:15 - 6:45pm. 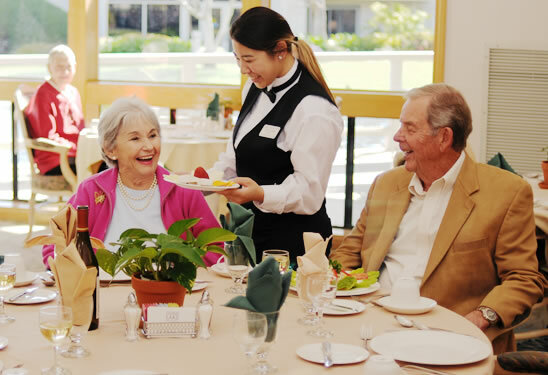 A catering menu is available for a variety of on-site needs, allowing residents to entertain graciously in one of the lounges, patios, or in their own condominiums. Available options include hors d'oeuvres, beverages, buffets, desserts and special presentations. Iced tea and lemonade are available in the Champagne Lounge, Monday through Saturday, between 8:00 a.m. - 4:30 p.m. A self-service coffee, espresso, and hot chocolate bar is available all day.